What Would Your DMS Tell You? Your DMS has seen and heard everything. It’s witnessed the month you’ve sold the most cars ever, and at times, it’s been victim to your moments of stress and frustration. So after all that it’s experienced, what would your DMS tell you if it could communicate to you? 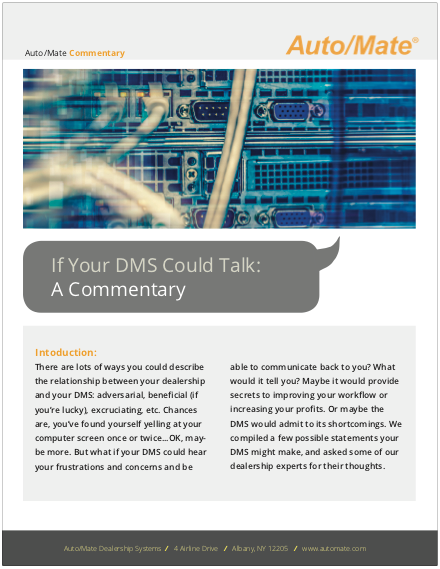 Download your copy to see what your DMS has been hiding from you.